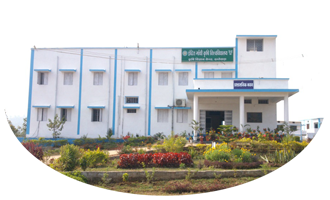 The Krishi Vigyan Kendra KVK) is district level Farm Science Centre established by the Indian Council of Agricultural Research (ICAR) under Indira Gandhi Agriculture University, Raipur (C.G.). It is responsible to transfer agricultural technologies and research to the farmer's fields so that the farmer can gain the high productivity. The KVK has excelled in bringing the modern technological packages at the farmers doorstep with the help of various instructional units. The KVK today has sufficient resources to impart training skills for not only the farmers but also the rural youth. The Krishi Vigyan Kendra Dantewada was established in 23rd December 2005 with following aims and objectives. To bring about improvement in productivity through transfer of economically viable and environmentally sound technologies on various aspects such as crop production, farm mechanization, horticulture, animal husbandry, home science, etc. To establish strong linkage with farmers and line departments for faster developments in agriculture.